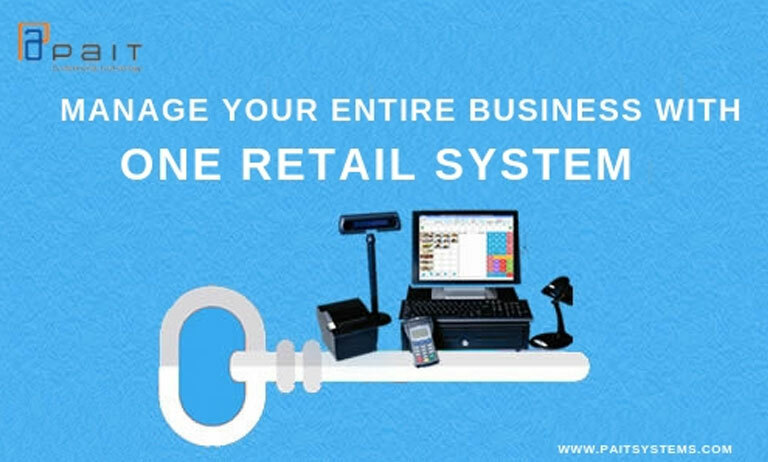 Retail software system integrated with all your business tools are available on a single platform, commonly known as Point of Sale system (POS system). It's something that you want and something that you need. Let's start with a basic question before coming to the topic. What is technology doing? Isn't it the key to reduce human efforts or to completely eliminate them? Isn't it the way to reduce errors and time? POS is just the perfect pool of all your business tools viz Sales order management system, Customer relation management, retail billing software, inventory management, Purchasing and receiving, retail shop software, data-driven reports and Dashboards applications etc. The pain of integrating a variety of tools and applications to run your business is now over. All retail operations are being handled on a single technology footprint, giving you the perfect grease you require to run end to end business. All Information is in one place, hence you can see the real-time flow of your business measured across all functions. Cloud-based POS means everything on a single mobile device, providing you with the opportunity to handle your business without actually being there but being there at the same time. One of the best perks of having a single Retail Management Software System is you can keep tabs on your stock levels and get real-time reporting. You can set marks on your inventory levels and get updated on your mobile whenever the limit is reached. E-commerce in your retail business can definitely help you spread your network across your locality, and a single POS system can take orders from customers and fulfil their demands. Upgraded versions of POS can send the best product from the inventory near to customer based on priorities and preferences. Also, you can show your products online to your customers directly from the website of your vendor through POS. As the world is becoming digital, online presence has become important. A single POS system according to the data can look into the database and do the procedure of email marketing automatically, along with sending digital receipts to your customers. Reports of all your sales, profits and losses, returns, can be taken from a single device and you can plan traditional marketing and sale offers accordingly. These reports can be built by your system according to your needs, which can be sales related, customer related, accounts related etc. These software complications are made much easier with advanced GUI which can be easily learned by your employees. Also, some POS systems are blended with employee productivity tools to manage worker productivity. Growing in business requires flexibility and more features both in your business and hence in your software system. Multiple applications operated desperately will only increase cost and time efforts. And linking them is just costly upfront. While in the long term, a single RMS will provide everything you want to have in your system. The omnichannel experience has changed the course of outcome for many retailing businesses, shifting them from labor-intensive tasks to independent, versatile, integrative and advanced single POS software systems.